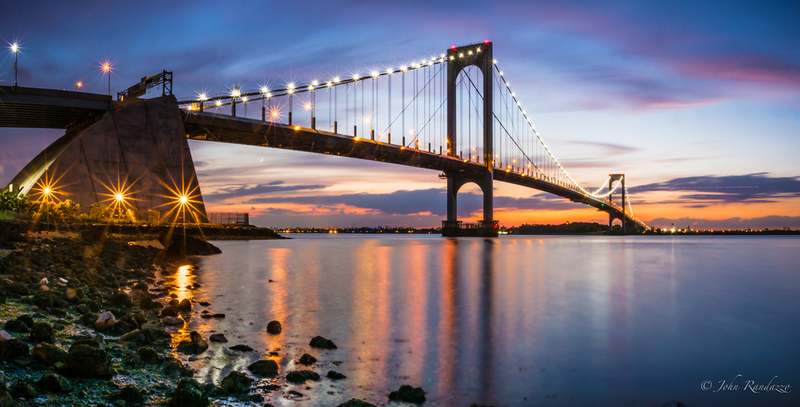 After photographing the Whitestone Bridge over the winter I knew I had to return. I waited until June to visit Francis Lewis Park when the sun makes its long journey and sets perfectly under the bridge. I stuck around until the end of blue hour when I noticed a young couple standing at the shoreline. I quickly set up my tripod and exposed the last shot for 47 seconds. Thankfully they remained still enough to get the effect I was going after.